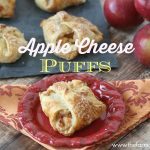 Apple season calls for the perfect fall recipe. 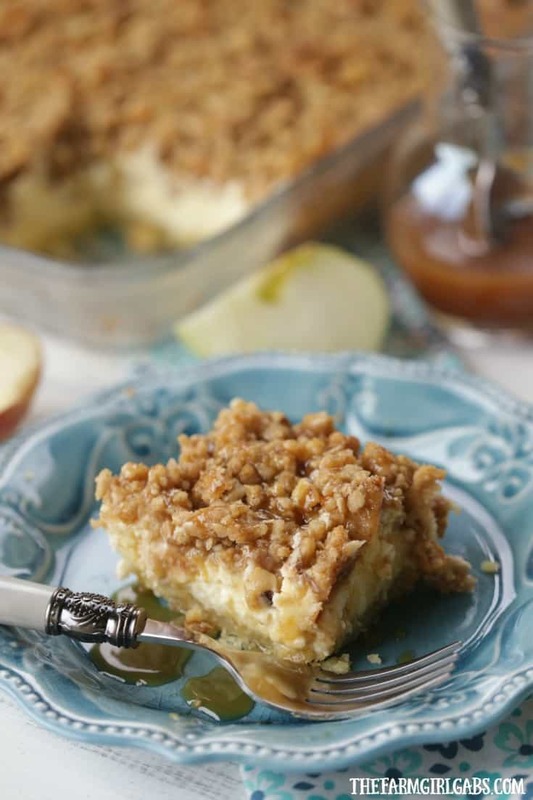 These Apple Caramel Walnut Cheesecake Bars are a family favorite. When it comes to both baking and eating desserts, I have a pretty high standard. My mom is the most amazing baker. She’s an old school baker – everything from scratch. So naturally, I am very particular when it comes to dessert. It doesn’t have to be fancy, it just has to be goooooood. Just like mamma makes. Mom is my number one taste tester for recipes I share here. When she says “it’s good”, then I know that I was taught well. I have shared a lot of recipes here on the I can honestly say that these Apple Caramel Walnut Cheesecake Bars are one of my favorite recipes to date. Mom agreed and even went back for seconds. While we all love to sit down and enjoy a finished recipe, the preparation can sometimes be messy. I am not ashamed to admit it, but I am the worlds messiest baker. I am. My kitchen often looks like a war zone in the food preparation process. Thankfully, Scotch-Brite® Non-Scratch Scrub Dots Sponges make clean up so much easier! New Scotch-Brite® Non-Scratch Scrub Dots Sponges (the blue ones) do a great job cleaning up the mess on my countertops and cook top. It can also safely clean all cookware without scratching. Scotch-Brite® Heavy Duty Scrub Dots Sponges (the green ones) are perfect for eliminating baked-on messes. They are perfect for use on pots , pans, and heavy duty cookware. Since apple season is in full swing on our farm, it’s time to celebrate with these Apple Caramel Walnut Cheesecake Bars. I never met a cheesecake that I didn’t like. This one recipe has the best of both worlds – farm fresh apples and a cheesecake layer. Hello goodness! This decadent dish of delight starts with a shortbread crust. Then the cheesecake layer is poured on top followed by some freshly chopped apples and a sweet walnut streusel topping. It may look fancy or sound complicated, but it really isn’t! It’s is very easy to make. Once baked and cooled drizzle plenty of caramel sauce over the top of the Apple Caramel Walnut Cheesecake Bars. I prefer to drizzle over each bar when served so the topping doesn’t get soggy. …and when the dish is empty, Scotch-Brite® Scrub Dots scrubs away kitchen messes fast. The clean-up is always my least favorite part of the baking process. So glad Scotch-Brite® Scrub Dots makes it so much easier. Apples, caramel, and walnuts are the perfect flavorful fall combination. Add the cheesecake to the mix and you have one out of this world dessert that everyone will love. Caramel Topping for drizzling when served. In medium bowl, beat butter until fluffy. Add powdered sugar and mix well. Add eggs one at a time beating well after each. Beat in flour on low until mixture forms small crumbs. Add half and half. Press evenly into a 9 x 13 baking pan. Bake 20 minutes or until lightly browned. In a large bowl, beat cream cheese with the 3/4 cup sugar until smooth. Add eggs one at a time. Mix in vanilla. Pour over the shortbread crust. In a medium bowl, stir chopped apples together with 3 tablespoons sugar and cinnamon. Spoon over cheesecake mixture. To make the walnut streusel topping, combine all ingredients in a medium bowl. Use a pastry blender or fork to mix. It should form small crumbs. Sprinkle topping over the apples. Bake 40 - 45 minutes until filling is set. Before serving, drizzle with caramel topping.